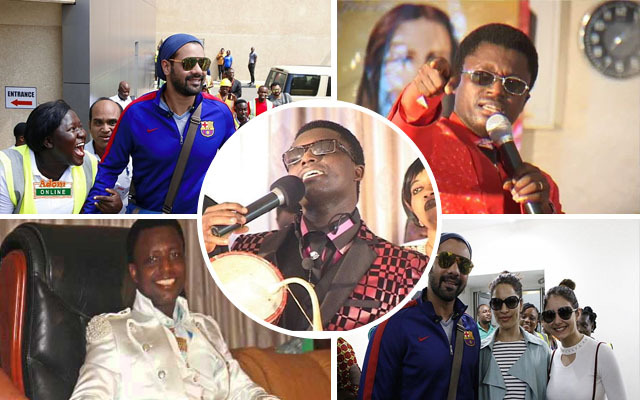 The founder and leader of Ebenezer Miracle Worship Center, Prophet Ebenezer Adarkwa Yiadom popularly known as Prophet One aka Opambour has blasted Kumkum Bhagya fans for wasting money just to go and have a look at the Kumkum stars. Abhi the rockstar, Tanu, Alia, and other Kumkum Bhagya stars arrived in Ghana on the 17th November 2017. Among the activities scheduled were the dinner with their fans and the Kumkum showdown which was held in Accra, Kumasi and Tamale sports stadiums. Multimedia’s Adom TV which airs the Kumkum Bhagya TV series and who was responsible for bringing these Kumkum stars to Ghana announced that dinner with the stars was GHS 600 and the Kumkum Showdown was GHS100. When these prices were announced, Ghanaians heavily criticised the TV station for charging outrageous amount just to meet these Indian stars. Well, Prophet One has added his voice to the criticisms.